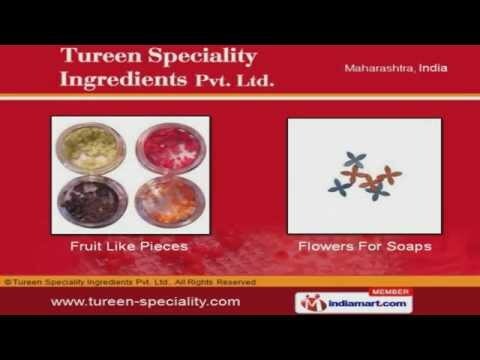 Welcome to Tureen Speciality Ingredients Private Limited, Manufacturer and Exporter of Beads and Micro encapsulated Matrixes. The company was established in 2002. Our state-of-the-art-infrastructure and Stringent inspection make us stand apart from also-rans. Cost effective, prompt delivery and Customized solutions help us to achieve an enviable position in the industry. We offer a wide array of Milli Spheres, Kiwi like Slices and Chocolate Skin Care Products. Our Chocolate Skin Care Products are best in the industry amongst others. We offer a wide variety of Fruit like Pieces and Flowers for Soaps. Scrub Beads offered by us are in huge demand across the global markets. Our clients can avail from us an exquisite range of Milli Spheres. We also provide Kiwi like Slices that are nothing but the best solution for all your needs.